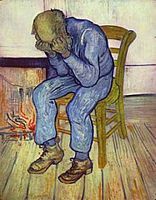 Supporting data for "Sparse whole-genome sequencing identifies two loci for major depressive disorder". Major depressive disorder (MDD) is one of the most frequently encountered forms of mental illness and a leading cause of disability worldwide. However, due to the high heterogeneity of the disease, no robustly replicated genome loci have been identified. We have collected more than 12000 samples from 45 cities in China collaborated with local hospital. Most of the data were collected from 2007 to 2010 in different batches. Here, we performed low-coverage whole-genome sequencing of 5,303 Chinese women with recurrent MDD selected to reduce phenotypic heterogeneity, and 5,337 controls screened to exclude MDD. The sequencing reads were aligned to human reference genome GRCH37 and an average sequencing depth of 1.7x were achieved. Based on this dataset, we identified about 32 million SNPs and the association of them with MDD was analyzed. The availability of this big dataset will be vey helpful for the genetic studies of other complex trait in Chinese population. For the data available here are bam files storing the mapping result for each samples.